At the risk of losing any credibility that I have with you the reader - if I had any to begin with - it's time to reveal that I have not thrown myself into the world of "Doctor Who" yet. It's one of those things that is eternally on my nerdy to-do list, but as of this writing, I just haven't gotten around to it. My lack of "Who" know-how is probably one of the big reasons that ComicsAlliance's assistant editor Caleb Goellner secretly hates me so much. 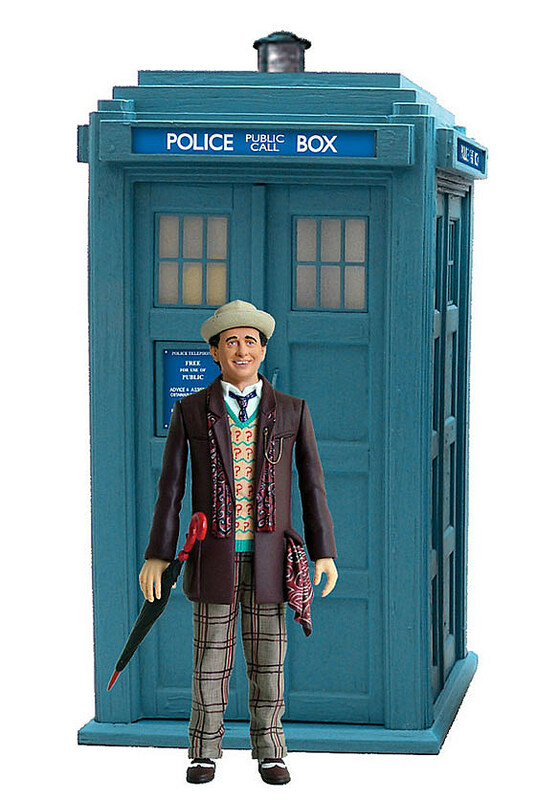 It must have been very frustrating for the poor guy when he forwarded me this news from Toy News International detailing the new classic Flight Control TARDIS from Underground Toys - which is, according to Caleb, "the first version of the 'Flight Control TARDIS' toy with an interior not modeled after the 9th and 10th Doctors'" - and I just flat out had no idea what he was talking about it. But Caleb insists that "Who" lovers will find this to be very important news, especially because it features "the Doctor who got gunned down at the beginning of Fox's polarizing American-made 'Doctor Who' TV movie." Again, his words, not mine. With all of that out of the way, let me ask this - if I haven't gotten into "Doctor Who" just yet, where should I start? How sucked in am I going to get? Do I have time for such an obsession? Is it really as wonderful as all of my "Who" loving colleagues make it out to be? I'm definitely curious, so please feel free to share your thoughts in the comments below. I'm open to suggestions.